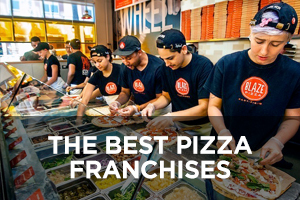 Asian quick-serve and fast-casual restaurants are exploding in popularity all over the world, and entrepreneurs who want to ride this rising tide have a solid short list of the 11 best Asian restaurant franchises to examine. Since 1999, Asian fast-food restaurants on a global scale have grown by 500%, making it the single fastest-growing food category that outstrips the next four categories combined (Middle Eastern, Chicken, Pizza, and Latin). The picture in the U.S. isn’t quite that dramatic but is nevertheless impressive with sales having grown by 135% in the same timeframe. While the Asian segment in the U.S. has traditionally been dominated by independently-owned full-service and fast-food restaurants, 50% of Asian fast-food sales are now generated by chains. This is because the younger generations are into bolder flavors and international foods. And there are so many choices now of different cuisines, including Chinese, Japanese, Thai, Vietnamese, Hawaiian, Mongolian, and more. You’ve probably noticed that Asian food is such a hot trend right now that many restaurants of all types, from burger joints to chicken chains to sandwich shops, are rushing to add Asian-inspired items to their menu. 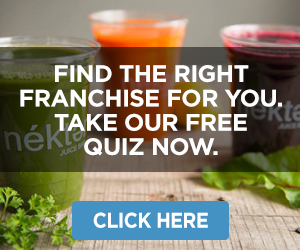 In spite of this, only three of the companies covered here have achieved rankings on Entrepreneur magazine Franchise 500 list. 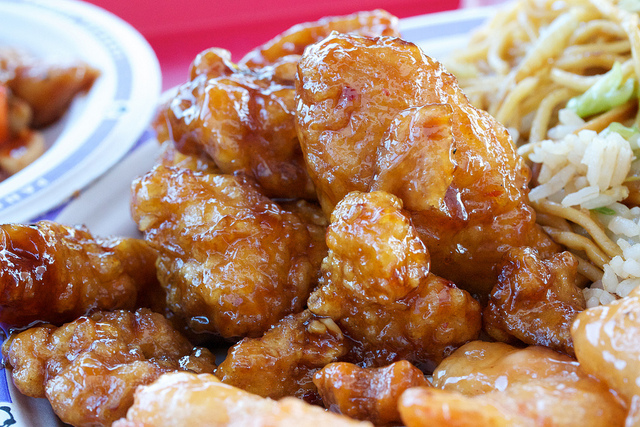 Panda Express is by far the largest Asian fast-casual chain in the U.S. and is the quicker-service version of its predecessor, the more upscale table-service Panda Inn. For many years, the chain located its stores almost exclusively in shopping mall food courts, but in recent years has adopted a variety of formats, including standalone restaurants. The menu includes 13 entrées, five appetizers, five sides, and one dessert (fortune cookies). 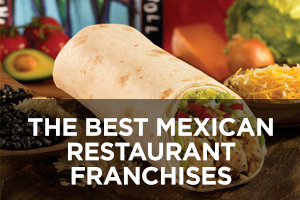 Founded in 1983 in Glendale, California by Andrew and Peggy Cherng, the chain now has more than 2,000 locations. International locations can be found in Canada, South Korea, Mexico, United Arab Emirates, and Guatemala. 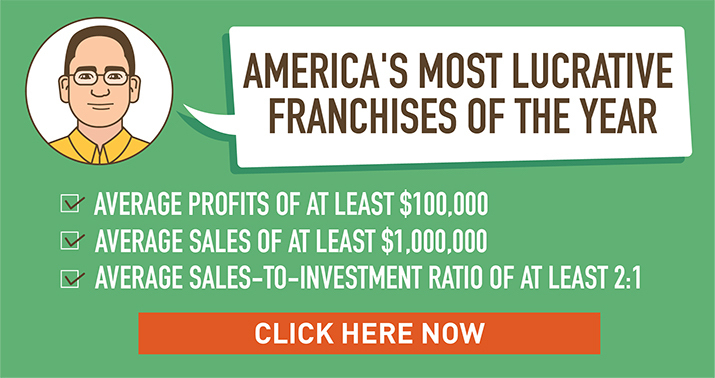 The vast majority of Panda Express locations are company-owned, so the limited franchise potential is in non-traditional locations such as airports, universities, military bases, hospitals, casinos, amusement parks, and stadiums. 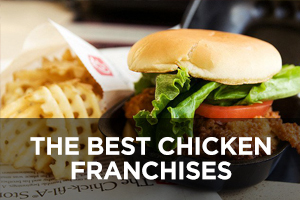 This also explains why Panda Express is not currently an Entrepreneur Franchise 500 company. Thai Express brings the flavors of traditional Thai cuisine into the quick-service segment with orders prepared fresh. The menu features two soups (Tom Yum and Regular Thai Soup), five appetizers (Imperial Roll, Spring Roll, Mango Salad, Chicken Dumplings, and Fried Dumplings), 13 main dishes (such as Steamed Dumplings, General Thai Chicken, Fried Rice, Stir-Fry, General Thairacha, Khao Soi – Golden Noodle Bowl, Pad Thai, and Pad Sew) and two desserts (sorbet gelato and fried banana). Founded and franchising since 2004, the number of locations has grown robustly in recent years from 171 in 2011 to the current total of 302 locations, of which only one is company-owned and all but six of which are located outside the U.S.
L&L Hawaiian Barbecue specializes in the traditional Hawaiian barbecue plate lunch, a style of eating that dates back to the wage laborers of the 1800s working in Hawaii’s sugar plantations and pineapple fields. It consists of two scoops of rice, a creamy macaroni salad, and a hot entrée. The chain’s approach to its menu is one that fuses Asian and American cuisines with offerings ranging from Chicken Katsu and Kalua Pork with Cabbage, to BBQ Beef and Cheeseburgers. It’s also one of the few chains you’ll find that features Spam in its menu with its Spam Musubi (a slice of grilled spam on rice and wrapped in dry seaweed) and Spam Saimin noodle soup. 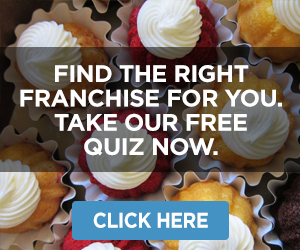 This company currently ranks #221 on Entrepreneur magazine’s Franchise 500 list. 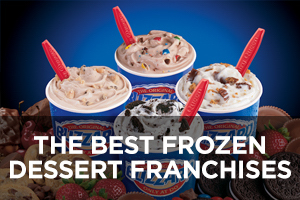 Founded in 1976 by Johnson Kam and Eddie Flores Jr. in Honolulu and franchising since 1991, the number of locations has held steady for nearly a decade and currently stands at 185, none of which are company-owned and two of which are located outside the U.S. The Flame Broiler distinguishes itself from competitors as being a simpler, healthier option for fast food. The menu truly is simple, offering just four basic dishes: Sauce-basted natural chicken, marinated Angus beef, a mix of beef and chicken, or its uniquely charbroiled, organic, and non-GMO project verified tofu. Your order can be served in a mini-bowl, regular bowl, or plate on a base of white or brown rice, veggies, rice and veggies, or salad. 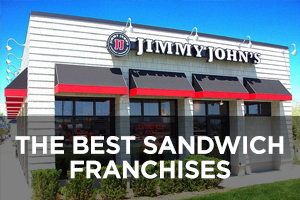 Founded in 1995 in Fullerton, California by Young Lee and franchising since 1999, the number of locations has expanded in recent years from 126 in 2012 to the 2017 total of 190 (the latest data available), all of which are located in the U.S. and none of which are company-owned. Ginger Sushi Boutique specializes in sushi with an extensive menu featuring a dozen choices of nigiri and sashimi, a dozen different hosomaki, 11 maki choices, 21 different sumomaki choices, four crispy rolls, 10 blossoms, six temari choices, three hako choices, three tartare choices, three tartare maki choices, and six spring maki choices. Other menu items include six poke bowls, sushi burritos, sushi tacos, and sushi pizza. Customers can enjoy their meal in the zen atmosphere of the boutique or order it as take-out. 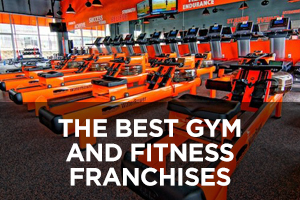 Founded in 2000 and franchising since 2001, after slow growth from 2011 to 2017, the number of locations jumped from 140 last year to the current total of 156, none of which are company-owned and all but one of which are located outside the U.S. in Canada, where the chain is known as Sushi Shop. The company is looking to expand into the U.S. market and recently signed an area development agreement in Florida, with the first U.S. location having opened in Deerfield Beach. Manchu Wok is a Canadian chain offering Chinese-themed fast food, although no traditional Manchurian cuisine is on the menu as the name might imply. For years, most locations were in shopping malls, but the chain has also opened locations on U.S. military bases, including Santa Rita, Guam; Okinawa, Japan; South Korea; Reamstein Air Base in Germany; and Grafenwohr Army Base, also in Germany. Now the chain is aggressively pursuing growth in airports, hospitals, entertainment venues, street-front locations, and travel centers. The menu has six main categories, including four signature dishes, five beef entrées, 11 chicken entrées, two pork entrées, four rice/noodle dishes, and seven appetizers/sides. 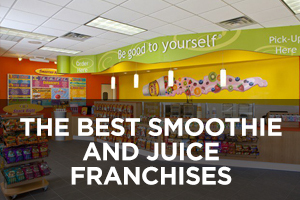 Founded in 1980 in Ontario, Canada by Dr. Jack Lew and franchising since 1989, the chain reached a high of 245 locations back in the mid-1990s, but now that number currently stands at 105, only one of which is company-owned and 76 of which are located outside the U.S.
Pho Hoa specializes in presenting a healthier Vietnamese Pho noodle soup with all the flavors of the traditional approach, but without its reliance on bone marrow broth, which is known for being high in calories and cholesterol. Instead, it relies on high-quality meats. The menu features 16 signature soups, all but three of which have some form of beef in them, along with three appetizers, four rice plates, and three vermicelli bowls. 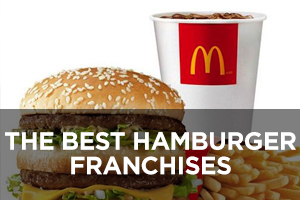 This company currently ranks #348 on Entrepreneur magazine’s Franchise 500 list. Founded in 1983 and franchising since 1992, the number of locations currently stands at 63 (down from 75 last year), of which 10 are company-owned and 39 are located outside the U.S.
Genghis Grill is a unique fast-casual restaurant featuring an approach to Mongolian cuisine inspired by Genghis Khan’s army, who were known for cooking food on their shields even during battles. Customers build their own stir-fry by selecting their proteins, veggies, sauces, and spices from an open food bar, then hand it off to a Grill Master who cooks it up in minutes on a large circular gill. Other menu options include gourmet fried rice, street-style noodle bowls, Asian tacos, hand-tossed salads, and several Grill Master entrées for customers who want to skip the line and order right from their table. 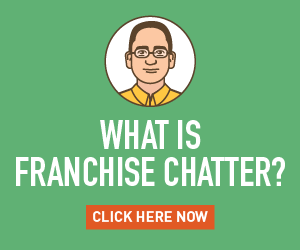 Founded in 1998 in Dallas, Texas by entrepreneur Jeff Sinelli and franchising since 2001, the last time the number of locations was reported to Entrepreneur magazine was back in 2014, at which time there were 110, but the company website now only lists 56 locations spread across 15 states. Teriyaki Madness boasts “More options than you can shake a chopstick at,” but in reality, the menu is actually pretty simple. The chain’s bowl offerings come with a choice of chicken, beef, or tofu with white rice, brown rice, fried rice, or noodles, and steamed or stir-fried veggies; while the plate option comes with a choice of veggies, a side of macaroni salad, or green salad. Kids meals come with a kid-size bowl and a fountain drink. Core offerings include Chicken Teriyaki, Spicy Chicken, Chicken Breast Teriyaki, Beef Teriyaki, Tofu Teriyaki, Orange Chicken, Chicken Katsu, and Yakisoba Noodles. In addition, there are four appetizers, seven sides, and eight house-made sauces. 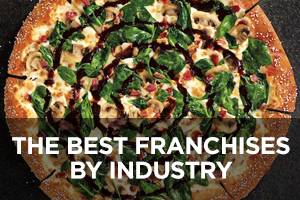 This company currently ranks #465 on Entrepreneur magazine’s Franchise 500 list. 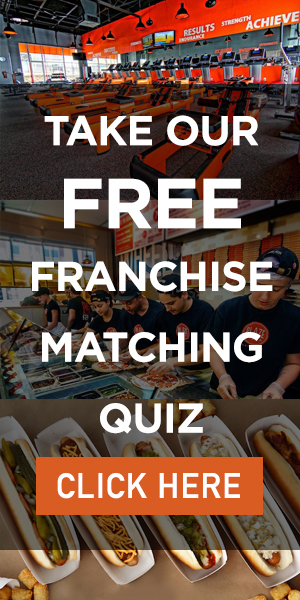 Founded in 2003 and franchising since 2005, the number of locations just dropped for the first time from 47 last year to the current total of 45, of which only one is company-owned and all are located in the U.S.
Samurai Sam’s Teriyaki Grill is a chain located in western states that presents a menu consisting of healthier, affordable Japanese fast food, including seven rice bowls, four signature dishes, seven Yakisoba bowls, six salads and sides, and two kids bowls. The rice and Yakisoba bowls come with choices of salmon, shrimp, sirloin steak, and chicken, all of which are freshly grilled and topped with Samurai Sam’s Teriyaki Sauce. Founded in 1994 by John Young, David Young, Kerry Phelps, and Russ Schoene in Scottsdale, Arizona and franchising since 1995, the number of locations has been steadily declining during the past decade from 74 in 2008 to the current total of 19, of which only one is company-owned and all are located in the U.S.
LemonShark Poke, as the name implies, focuses solely on poke bowls, where poke refers to a raw fish salad typically served as an appetizer or sometimes an entrée in Hawaiian cuisine. The word poke in Hawaiian is a verb meaning “to section” or “to slice or cut.” The “LemonShark” part of the name refers to a species of shark, Negaprion Brevirostris, known for feeding only on the very best fish, indicating the chain uses high-quality fish in its dishes. The menu consists of five signature bowls: Aloha Tuna, LemonShark Salmon, Albacore Islander, Maui Heat Wave, and Tofu Garden, but customers can also build their own bowls in four steps by first choosing among seven bases, then the poké (ten protein options), 23 toppings, and nine different sauces. 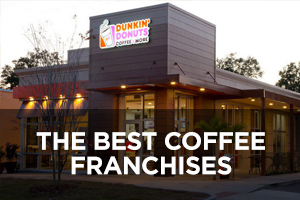 Founded in 2016 and franchising since 2017, this newcomer to the market now has eight locations (up from four last year), of which three are company-owned and all are located in the U.S.